Human Brain Development Depends on the Bacterial Symbiont Microbiome. Or, We Are What We Are Because of our Bacteria! One of the key concepts that I have written about in The Symbiont Factor is the influence of the bacterial microbiome on the brain. There exists two-way communication between the gut and the brain-and the bacteria in the gut use this communication to influence the brain. In particular, the type of bacteria (how many of what species, beneficial or harmful) determines many aspects of how an infant’s brain develops. This means that if there are insufficient beneficial bacteria, the baby’s brain will not develop to its full potential, potentially resulting in behavioral disease, mental illness or other problems. The question is then what determines the bacteria that populate a baby’s intestines? That is where it gets interesting! The “starter culture” comes from the mother, during vaginal (and not c-section) birth. Breastfeeding is the second probiotic delivery system. What the mother eats during pregnancy, how stressed she is, and many other factors before and during breastfeeding will determine the bacterial symbionts that are available for the baby. Any interventions such as drugs during childbirth, antibiotics in the first five years of life, imbalanced diet that includes high levels of gluten and sugars-all of these are very harmful to the bacterial microbiome. The significance is not that a child might get a cold or similar issue, but that not cultivating a vibrant beneficial symbiont population will fundamentally change who that child is and what they become as an adult! Personality, mood, drive, ambition, intelligence, emotional balance-all are a result of the brain development that occurs during the first five years. What happens when an infant is born via c-section? The baby begins life with a microbiome characteristic of skin, which means far fewer species of beneficial bacteria. If the child is not breastfed, this imbalance is worsened. If the baby is given sweet and sugary drinks, it gets worse. If there is frequent emotional stress along with typically poor nutrition, the microbiome will not develop fully and neither will the bain. This can continue to reproductive age, resulting in an inter-generational worsening of the microbiome. It is important to realize the implication here: “We” are Holobionts; an organism that consists of a host plus all of its symbiont organisms. When the symbionts are imbalanced, so is the host. When the symbionts are not present, part of the Holobiont “whole” is also missing and this results in mental and physical decline. 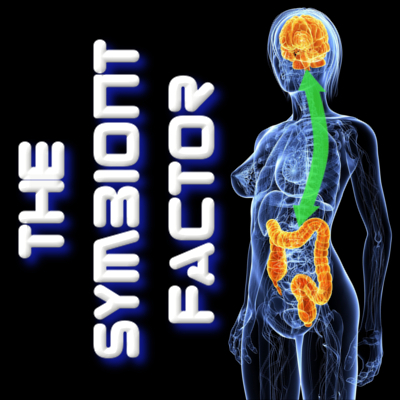 The Symbiont Factor is about how symbionts help us, and what goes wrong without them-and what to do about it! Our lack of proper care for our symbionts could threaten the future of Humanity as subsequent generations do not develop sufficient symbionts to attain their potential. “Think Global, Act Local” in this case means taking care of your health and your symbiont health! This entry was posted in Uncategorized and tagged ADD, ADHD, autism, brain development, caesarian section, childbirth, doula, gut bacteria, holobiont, lactobacillus, mental health, midwife, neurology, nutrition, probiotics, Rosenberg, symbiont, symbiosis, Zilber-Rosenberg on March 26, 2014 by Dr. Richard Matthews.